The number of taxis on the roads combined with the hours that drivers log behind the wheel increases their odds of being in a crash. If you use taxi services regularly, you could be involved in a taxi accident while riding as a passenger. If you drive your own vehicle, a taxi could hit you. You have the same legal right to file a claim for compensations when a taxi is at fault as with any other car crash. But the outcome for your claim might not be the same. Liability is one of the most-used and important words in every area of law. 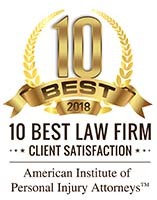 In general, the legal definition of liability is “the legal responsibility for one’s acts or omissions.” In many types of lawsuits, the primary goal of the plaintiff’s attorney is to prove the defendant is liable. This is especially true in all types of personal injury cases. Injuries from car accidents are one of several types of personal injuries. The legal liability of the other driver is the determining factor in deciding which party pays the other party compensation. Simple claims are settled without the need to file a personal injury claim. Usually, the at-fault driver’s insurance company pays the injured party. In larger, more complex cases, the insurance company may deny the person’s claim. They may claim the person was at fault for the accident or that their injuries aren’t as serious as they claimed. Failing to meet the deadlines for reporting the accident or making a claim can also result in a denied claim. 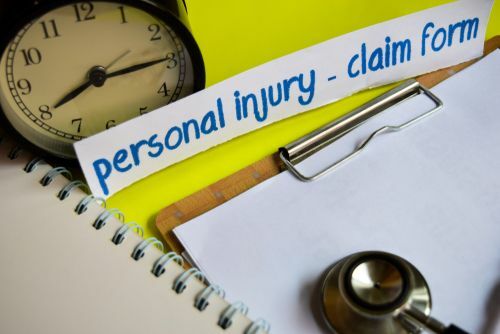 People who are unable to get adequate compensation from the insurance company, or any compensation at all, might file a personal injury claim. This isn’t always an option and an attorney won’t automatically take your case. The other driver must be at fault and you must have a good chance of proving it. If you can’t prove liability, you don’t have a case. An accident involving a taxi is different. It matters whether you are a passenger or a driver. 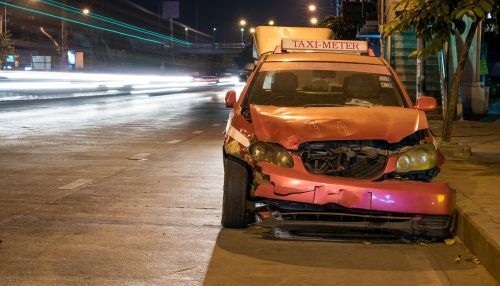 If you are the driver or passenger of another vehicle that a taxi cab strikes, figuring out liability is a lot like a normal two-vehicle accident. If you bring a personal injury claim against the taxi, you have to prove liability. You also have to prove the severity of your injuries and the impact they can and will have on your life. As a passenger in a taxi, proving liability isn’t necessary. Either the taxi driver or the other driver was negligent. In most cases, you can file a third-party car insurance claim against either or both of the drivers. You can also file a personal injury claim against either or both parties. We’ve seen a lot of information lately about the debate over Uber drivers and their classification as “independent contractors.” While the rideshare business model is a fairly new one, the debate over liability in the case of an accident is not. It’s one that taxi drivers have had for years. Taxis work in a number of ways. Some drivers purchase their own taxis and handle every aspect of their business independently. Many drivers lease the taxi they drive from a taxi cab company and pay a portion of their fares as a rental fee for the vehicle. Working for a taxi company reduces the driver’s responsibility. But it also reduces their pay. Taxi companies don’t pay insurance for their drivers. It is up to the driver to get specialized coverage in case of a taxi accident. Most states have laws requiring taxi cab drivers to carry minimum amounts of injury coverage. Most only carry the minimum coverage required. Accidents usually happen without warning and in the blink of an eye. Initially, you feel shock, confusion, and outright fear. Denial and disbelief that the situation is real are common feelings. Some people feel ‘strange’ for hours after the crash. This is largely due to the body’s release of adrenaline in response to a traumatic event. Adrenaline is the “fight-or-flight” hormone that helps your body respond to threatening situations faster. It increases blood flow, speeds up your heartbeat, and increases your body’s ability to turn sugar to fuel. The strange feeling you have after a crash is due to the after-effects of the adrenaline surge. Once the initial rush passes, you might experience shaky hands, weakness, sudden fainting, and an intense release of emotion. Another thing that adrenaline does is hide the pain of your injuries. The effect, called “stress-induced analgesia”, makes it possible to move around with serious injuries like concussions or fractures. Since you don’t feel the pain of your injuries, it’s possible your actions can make it worse. These factors are some of the reasons that accident victims often say and do the wrong things after a wreck. Still, knowing in advance the impact your actions and words might have on your case could help you keep the following tips in mind. They are essential after any type of vehicle accident. – Check to see if anyone involved in the crash is injured. If they are, call for help right away. Never assume that someone else will make the necessary calls. Everyone else might be thinking the same thing. – Call the police. Law enforcement officers are the only ones who can create and file an accident report. You might not think you need it now, but tomorrow everything could look a lot differently. Even if the taxi driver seems obviously at-fault, there might be factors involved that you aren’t thinking about. For instance, the taxi driver might have veered out of his lane to prevent hitting a pedestrian. – Take pictures of everything at the scene. Get shots of your injuries, the vehicles, the taxi’s license plate number, and any other identification printed on the cab. Look for skid marks and take pictures of those as well. Include everything, even if it’s just a stick in the road. – Collect names and contact information for everyone involved in the crash and any witness who saw what happened. Witnesses can help you prove liability if your claim gets challenged. – Talk with a personal injury attorney about your case. He or she will know what kinds of evidence the courts accept and your odds of proving liability. It only takes one bad choice to lose compensation for your medical bills and other damages. – Take any blame for causing the accident. Sometimes drivers feel guilty or worried about other parties in a crash. They try to make them feel better by taking the blame for the accident. You won’t feel so sympathetic when they use your words against you later on. – Say that you aren’t injured to anyone. Remember the impact adrenaline can have on your injuries. Some types of injuries cause delayed pain hours or days after the accident. If you make a statement that you aren’t injured today, it could hurt your claim when your injuries emerge later on. Some typical types of delayed pain include headaches, pain in the neck or shoulders, back pain, numbness & tingling, and abdominal pain. You could also experience emotional pain and anguish due to the trauma caused by the crash. – Talk about the taxi accident or show pictures on social media. People share everything on social media these days. The taxi driver’s insurance company knows it too. That’s why they will go online to find you and see what you have to say. – Wait to pursue your rights. Every state has a statute of limitations for filing personal injury claims. This is a specified amount of time spanning the crash to your deadline for filing. If you don’t file in time, you can lose your rights to get compensation. Whether you were a passenger in the taxi or you were driving your personal car, a personal injury attorney can advise you about the right approach to filing a claim. If you were a driver, you must decide whether to file a third-party claim with the taxi’s insurance company or take them to personal injury court. If you were a passenger in the taxi, you can file claims with the insurance companies of all the drivers involved. Even among these states, the laws differ on a number of factors. If you live in one of the other states, you probably have at-fault laws. Some states also observe a shared-fault or comparative fault law to divide the liability among different parties. As mentioned earlier, as a passenger in a taxi accident, you will file claims with the insurance companies of all the drivers involved. This means the taxi driver’s insurance company and the one for the other driver(s). Although filing a claim with the insurance companies is easy, getting compensation often isn’t. It isn’t unusual for the insurance companies for both sides to try and place the liability on the other driver. They may look for ways that you might have contributed to the crash by breaking the law. The insurance company will challenge your claim in any way so they end up paying less or nothing at all. In states like California that observe a comparative fault law, this situation gets even more complicated. If the court assigns a percentage of the fault to each driver, then each of their insurance companies should pay their fair share. Take, for example, a situation in which the taxi driver is considered 80% at fault while the other driver is only 20% at fault. Let’s say your claim for damages as a passenger during the taxi accident is $300,000. That means the taxi company’s insurer should pay $240,000, or 80%. That leaves the other driver’s insurer owing you $60,000. Either party might try to negotiate for a lesser settlement. If one company won’t pay the full amount, the other isn’t going to make up the difference. Sometimes this is a strategy used by the insurance companies in the hopes you will give up on your claim. In addition to the cat and mouse games played by the insurance companies, you might have problems collecting for other reasons. One is that you have serious injuries that cost more than the total coverage of the insurance. Auto insurance has maximum coverage limits depending on the individual policy. If the maximum for bodily injury is $200,000 and your medical bills top out at more than $300,000, the insurance company will only pay up to $200,000. Even if your claim falls within the limits of the insurance policy, there might be other passengers filing claims too. If multiple claimants exhaust the total value of the car insurance, each person filing a claim will have to settle their case for less than it’s worth. Another option is to file a claim against the driver to pursue the rest of the compensation. Knowing what to do from the time of the accident until your claim is resolved will help you get the best outcome for your case. Never try to handle the insurance companies on your own. It is always in their best interest to get you to settle for less. It is never in your best interest to get less than you need for appropriate medical treatment and recovery. A personal injury attorney knows your rights and what to do to protect them. Collecting compensation after a taxi accident might be challenging. 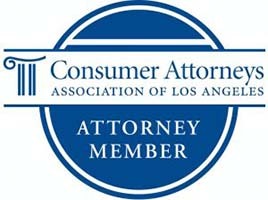 Having the knowledge and determination of an experienced personal injury attorney on your side will improve your odds. If you are injured in a taxi accident, contact Krasney Law. Schedule a complimentary consultation with personal injury specialists to learn if you have a case. We’ll help you handle the insurance companies and get the best possible outcome for your case.